In the quarterfinal of the 2006 Soccer World Cup, England and Portugal played for 90 tense minutes and 30 minutes extra time without a single goal being scored. This led them to a penalty shoot-out; as one by one, players went against the opposing team’s goalie. After four shots by each team, Portugal was ahead 2-1. Portugal’s star Cristiano Ronaldo shot to English goalkeeper Paul Robinson’s left, but Robinson dove right. Portugal scored, won the game, and went on to the semifinal. When Robinson dove to his right, he was making a common choice for our right-oriented brains, according to a study published in Psychological Science, a journal of the Association for Psychological Science. 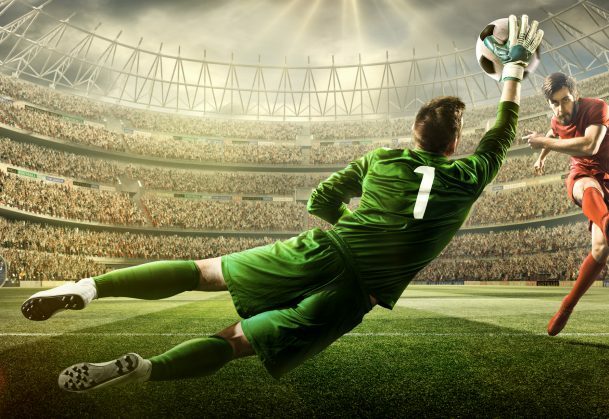 The researchers found that, in World Cup penalty shoot-outs, goalies tend to dive right when their team is behind and they have a chance to save the game for their country. Many studies have found that people and animals that want something tend to go to the right. When dogs see their owners, they wag their tails more to the right; toads strike to the right when they’re going for prey; and humans are more likely to turn their heads to the right to smooch their sweeties. Marieke Roskes, who cowrote the study with Daniel Sligte, Shaul Shalvi, and Carsten K.W. De Dreu of the University of Amsterdam, thought of looking at this phenomenon in another arena: the soccer field. “I was sitting with my coauthors in the bar and we were talking about soccer and about research, which we often do on Friday afternoons,” she says. They thought of looking at how goalkeepers move in penalty shootouts, when they’re going after a big win. The researchers examined every penalty shoot-out in every World Cup from 1982 to 2010 and found that most of the time, goalies are equally like to dive right and left. But when the goalkeeper’s team was behind, he was more likely to dive right than left. In an experiment, the team found that people who are told to divide a line in half tend to aim a bit to the right when they are both thinking about a positive goal and under time pressure—just like the goalies. News > Latest Research News > Goalies Tend to Dive Right in World Cup Penalty Shoot-Outs When Their Team is Behind…Why?